Peter's Vale Boa House in the sun: More timber work in preparation. More timber work in preparation. I have so many projects on the go but now I am going back to clear the boards so to speak. I want to get on with my master bedroom but first lots of little jobs need to be completed to let me carry on with my main job for the coming few months. 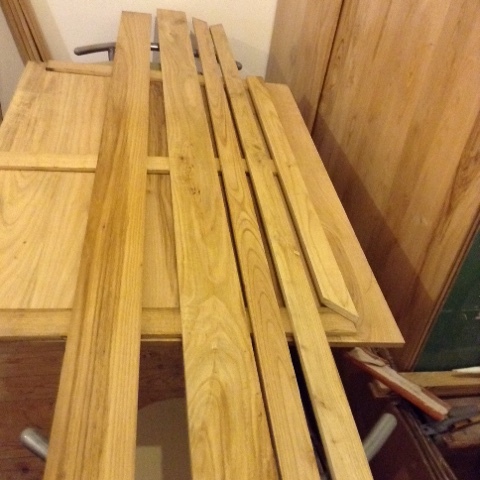 Here I have the kitchen door frame laid out for varnishing and then fitting into place for another job complete.